The highlight of a recent flying visit to Belgium was an afternoon in the company of the great brewing minds at Alvinne. Situated in the small town of Moen, some 6 miles South East of Kortrijk in the Flemish West Flanders region, Alvinne is the brainchild of former home brewers Glenn Castelein and Davy Spiessens. Operations started in late 2004, in a garden shed. However, the brewery has come a long way since then and a year after Marc De Keukeleire joined forces with the founders in 2010, Alvinne moved to its current home in a converted industrial unit. The new brewery opened in 2011 once conversion work was complete and equipment moved into place. The conversion work was significant and included installation of a loft style tasting room. 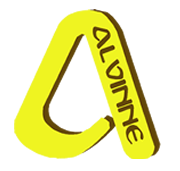 Alvinne holds a craft beer festival (ACBF) to which only the cream of the small craft breweries are invited each year. 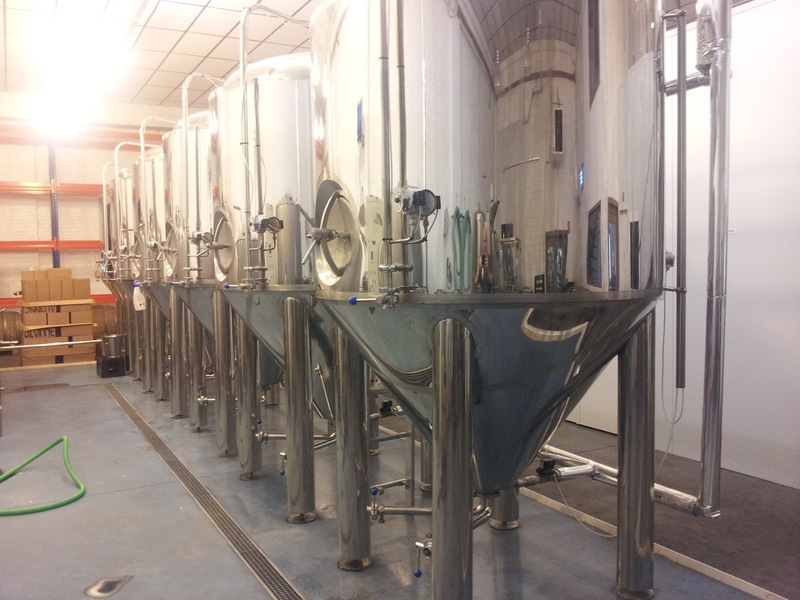 This year's festival was held at the new brewery to much acclaim from those who attended. The British scene was represented this year by Brodies, Redemption, Brew Wharf, Thornbridge, Twickenham, Marble and Hawkshead. 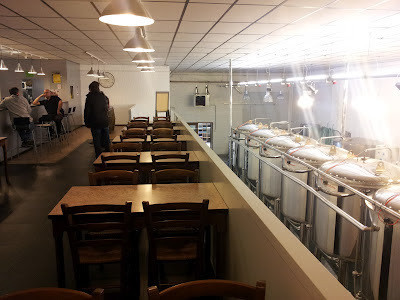 Visiting Alvinne brewery has become something of a pilgrimage for lovers of the Flemish sour style and as we set off from Bruges, having visited the Struise shop there earlier in the day (recommended), the torrential rain made the drive interesting. Finding the place is a bit of a challenge and we circled round Moen before realising the sat nav was throwing us a curve ball. As we approached, we knew we'd finally found it when we spotted the Oak barrels outside. 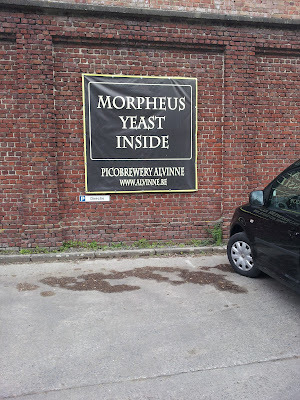 Pulling up in front of the building, the "Morpheus Yeast Inside" banner confirmed this. Walking through the door and up some steps we found ourselves in the beer shop. This stocks a small but perfectly formed range of craft beer from around the globe. 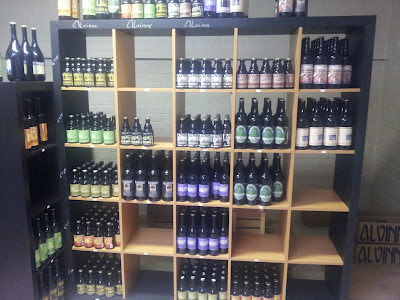 One section is dedicated to Alvinne's beers but the other three carry beers from the likes of Thornbridge, Struise, Hair of the Dog and many other world class breweries. Glenn was there to greet us and showed us to the tasting room upstairs where Davy was sat at the bar. We handed over the loot we'd brought from Brodies, Kernel and Redemption (Thomas from Fermenting Ramblings had collected these from their respective brewers earlier in the week, all keen to spread some beery love to the guys at Alvinne) and soon found ourselves with a beer in-hand from one of the keg lines at the bar. 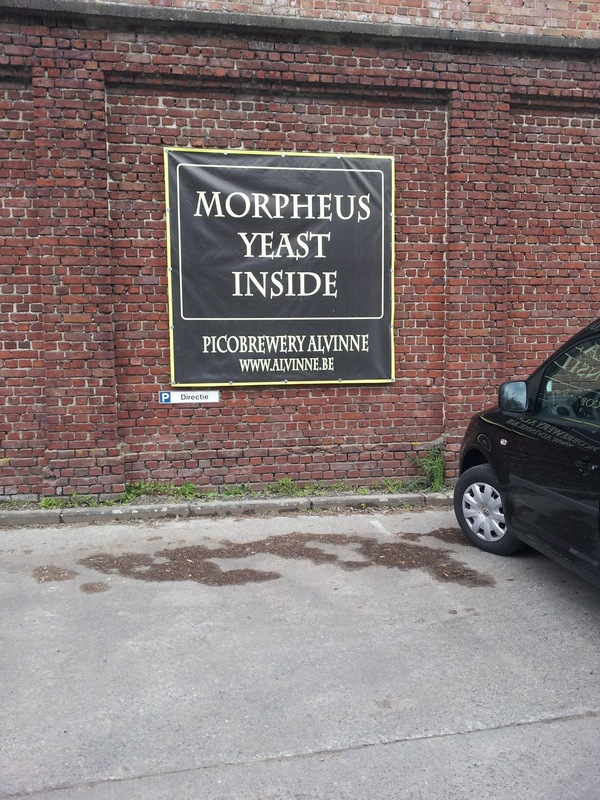 As I sipped and savoured this (a Morpheus Tripel) and peered over the balcony across the brewery, it hit me why ratebeer users had voted Alvinne the Best Brewery to Visit in 2011. Quite simply, this is a wonderful place to while away an afternoon and drink and stock up on world class beer. I made a vow right there and then to come back for the next ACBF. Over the next couple of hours, Glenn generously poured some 10 or so beers, taking us first through the Morpheus range, Undressed (a beer they mostly use for blending), then onto some of the sour oak aged beers Alvinne is famous for. As I was driving, I could only sip these (before passing the rest to Thomas - he wasn't going to let a drop hit the sink) but the quality of all of them was second to none and it was great sampling these while having the opportunity to discuss them with the brewers. The highlights were probably the samples of batch 1 (now a year old and perfectly balanced) and 2 (just been bottled) of Beer Geek Wedding in London City, a sour ale brewed to celebrate the wedding of Mes and Sim. The first batch saw Morpheus Dark aged in a Glenrothes whisky barrel blended 70/30 with Kerasus 2010. A year in bottle has seen it lose some of the characteristics the barrel imparted on it but it has developed into a deliciously balanced example of the classic Flemish brown ale style. The second batch is the same blend but aged in French Monbazillac wine barrels. Both were fantastic. Below is the collective view of reviews on ratebeer for the first batch. As we tasted, Glenn explained the challenges of producing high quality barrel aged sour beers. Each barrel imparts a unique and sometimes very different quality and the skill is in blending to create the final product they desire, often working through many different blends before getting it just right. There's no doubt they have this down to a fine art. Before leaving for Calais, we had time to stock up on some Alvinne bottles and a couple of other rarities including their last couple of bottles of the sought after Hair of the Dog Adam. If you get the opportunity to visit Alvinne, either for the festival or just on its own merit, I thoroughly recommend doing so. It was educational, fun and involved sampling and buying some world class beers in the company of top brewers. What's not to love!? Yes, it was a nice trip. We had a few. Sample measurements were in the small glasses which they use for their festivals.